So yesterday I posted a couple of photos with my little boy testing out studio photography set up for family mini-sessions. I had a lot of messages asking what set up looks like, camera settings, etc, so I took some "behind the scene" shots today. I shoot natural light most of the time. Majority of my work is newborn photography and I love dreamy feel that natural light gives. 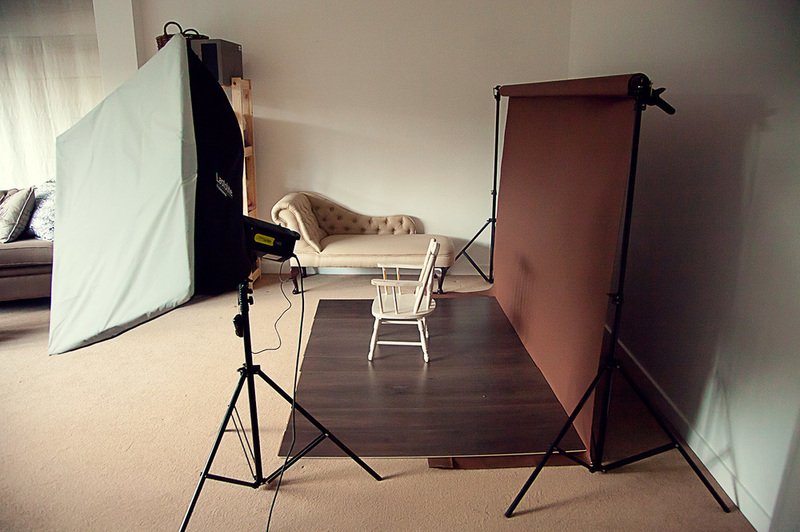 But obviously with groups or toddlers or when there is no natural light available - studio light comes to the rescue. Here's my boy modelling his best, marshmallows in exchange for his precious time! Here's how the set up looks like. Camera of course! Canon 5D MarkIII and my beloved 50mm lens. Marshmallows and LOTS of patience! Photographing your own kids is not easy! WHY the softbox is not aimed at the model??? This is to make the light softer and spread it out by bouncing it off the walls and ceiling (white). I also have a speedlite attached on top of the trigger on manual mode with a little reflector popped out. This is only used in the evenings to get that tiny spark in the eyes. If it's a daytime the windows behind me do the trick. If the softbox is aimed at the model it looks great too. BUT. The model has to be standing right in that "central spot". It would've been better if Ben turned a bit more towards the light, so his right side of the face would be lit more. Toddlers don't exactly sit still. Unless they eat a chocolate cake. So if they come out (or most likely jump out) of that "central spot" lighting is messed up. Like that. Not very nice. Great expression but shadows ruined it. So with toddlers you need a scenario when the lighting is the least you will have to worry about. With bounced light, as long as they stay within the set up area, you will get the shot. The most important thing is to establish the connection with the child, make them like you, get their attention and QUICK! 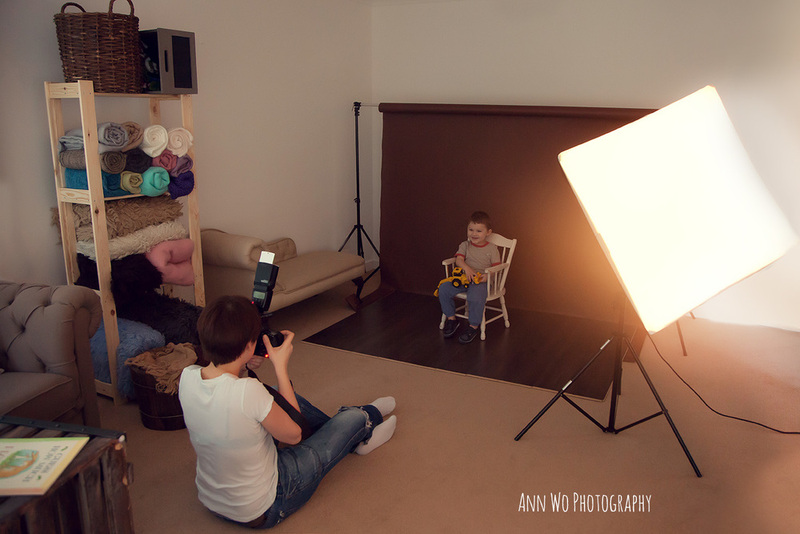 With bounced light you can shoot from any place even if the child is on the floor and you shoot from above. Hope this helps! Please leave comments below if you have any more questions or any tips of your own! Special offer in January 2014! Mini-sessions at my studio in Maidenhead, Berkshire. Please note it is not suitable for newborns, pregnancy or smash the cake photography sessions as it will not be enough time! Great for older babies, toddlers and whole families! All the information on how to prepare, what to wear etc will be emailed to you. We will also discuss the background/props options.